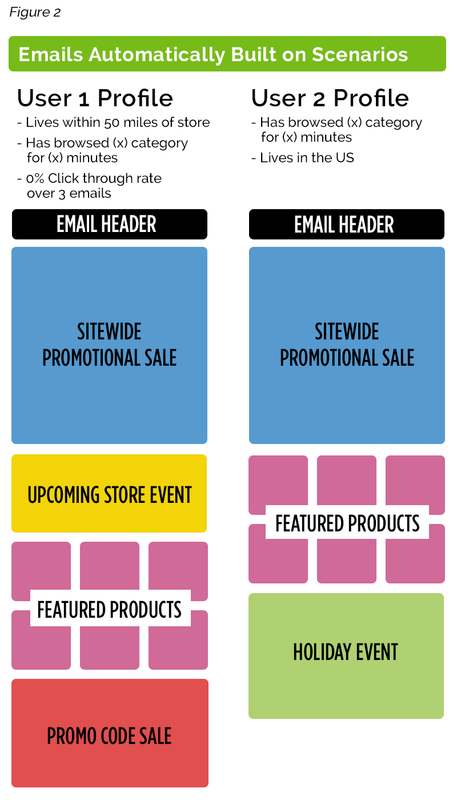 Don't you wish you could personalize your email campaigns with more than just the recipient's name? Now you can with DynamicContent Email by CLI! DynamicEmail by CLI allows you to build your email marketing on the fly—with different content in every email matched to different recipients based on all sorts of criteria. For example, send an email populated with a specific offer to "Customer A" who lives within 50 miles of your store and browsed your site for 10 minutes, looking at two specific products. In the same campaign, send an email populated with other offers to "Customer B" who lives in the US, browsed in one category on your site, and looked at Product X for five minutes—emails dynamically built for every recipient and all built on the fly. Drive specific offers to specific customers based on specific data! That's DynamicEmail by CLI! CLI can help you maximize your email campaign ROI by offering what your customers want. Now is the time to start using DynamicEmail! Email marketing just wasn't working for one of our clients. Their click rate was good, but sales conversions just weren't happening. CLI's team of marketing experts examined our client's emails and spotted the problem, they needed more personalization and stronger calls to action. Using triggered cells, our dynamic content emails personalize every cell of an email with products that customers previously viewed or searched for, with products from frequently purchased categories, or even with products from offline catalogs. Then we added some fun promotions and strong designs. The results? With dynamic content emails they saw 500% sales improvement in the first month and the increases continued. We can't guarantee that kind of sales lift every time, but we bet that your email sales could use a boost. BTW: our prices are reasonable too. Let us show you how to drive up your revenue with DynamicContent Email by CLI.